While the previous chapter Misconceptions covers dubious and erroneous hypotheses, views, and interpretations currently held to be true because they entered into the scientific literature after passing reviewing procedures, this chapter lists numerous minor errors and mistakes of various kind, which can be confusing and annoying. Most of the errors and mistakes in the palaeobotany literature concern sizes. They often result from confusion of cm, mm, and µm but some are due to inexcusable carelessness. Some publications offer so many erroneous size data that all size data have to be doubted. 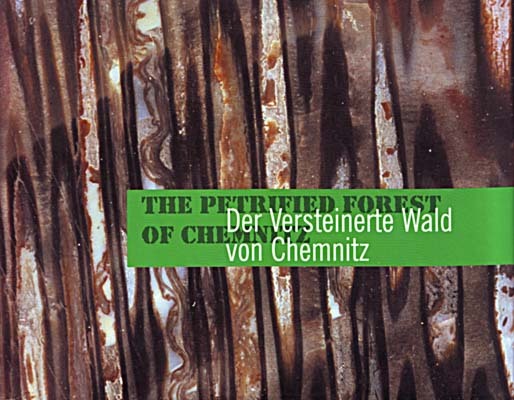 For example, R. Rößler: Der versteinerte Wald von Chemnitz (2001), and T.N. Taylor et al. : Paleobotany (2009) Chapter 8. The errors may be not so much disturbing to the experienced reader who easily recognizes them as such but they can be frustrating to others. Minor errors are briefy dealt with in this chapter but there are cases extending into the chapter Misconceptions. This list will become so long that the items have to be sorted into categories. The small pictures are linked to texts on this website. They are either details taken from the corrected papers or own ones more or less closely related to the subject. 1 : 20 The erroneous size information has been found out by comparison with the original objects (Figs. 63, 66, 67, 191) or with corresponding pictures in publications appearing trustworthy. Very probably there are more erroneous data as only a small fraction of the pictures has been checked. Further examples for dubious size data: Figs. 181, 192, 394, 440, 479. An unknown fraction of the pictures are mirror images of the original, and a large fraction is also found in other publications, which enables sizes to be compared, despite of modified orientation and frame boundaries. Other errors and inconsistencies found in this monograph are dealt with under the heading "Other errors and mistakes" below and in German under "Irrtümer". A few minor errors are so obvious that they may be easily removed, as by simply substituting mm for µm in two pictures in . Less obvious errors become apparent by comparing the size data of the same pictures in two or more publications. If they differ, it can be laborious to find out which one is right. Luckily, Fig.2f in  had been published twice before, as Fig.1 in  and , with size data coinciding and reasonable so that the latter two may be considered right. This makes a bar length of 0.75mm instead of 0.5µm for Fig.2f in . The sizes of the same chlamydospore in Figs.2d in  and Fig.16 in  differ by 20%. Comparison of Fig.3c in  with the corresponding pictures in  and  shows that µm should be mm. Fig.1a in  is a detail of Fig.1 in , turned upside down. Its size cannot be checked against size data in  because several scale bars in the figures there and elsewhere are incompatible with the related magnification numbers: Figs.1, 3, 17, 24 in  and Fig.28 in . Comparison with  reveals that Fig.1c in  is too small by a factor 0.87. Comparison with  reveals that Figs.1e and 1f in  are too small by factors 0.55 and 0.7. Fig.2 in  and Fig.26 in  are the same pictures in print so that only one of the alleged magnifications numbers, 1500 or 1300, can be right. The errors reported here may not be serious if taken by themselves but they arouse the suspicion that other data, too, might be erroneous. Hence, one should check size data by comparison if possible. in: Microbial Endophytes, eds. : Ch.W. Bacon, J.F. White Jr., Marcel Dekker Inc., New York 2000. Proc. Natl. Acad. Sci. USA 91(1994), 11841-3. Am. J. Botany 84(1997), 992-1004. Am. J. Botany 81(1994), 29-37. Am. J. Botany 81(1994), 690-702.
in: U. Dernbach, W.D. Tidwell: Secrets of petrified plants, D'ORO 2002. Fig.4, p.70: 11mm x 7mm, not 23mm x 15mm. Fig.7, p.73: The two rows of synangia are not on one pinnule but on two pinnules. The boundary between the pinnules is vaguely seen between the rows. The second row of synangia on either pinnule is not seen on this picture. p.73: The number of sporangia per synangium is 3 to 6, not 4 and 5, and usually they do not show radial symmetry. M. Barthel, H.-J. Weiss: Xeromorphe Baumfarne im Rotliegend Sachsens. Veröff. Mus. Nat. Chemnitz 20(1997), 45-56. M. Barthel: Gibt es einen Farn Scolecopteris arborescens ? Veröffentlichungen Naturkundemuseum Erfurt 24(2005), 5-11. Several erroneous size data, see German version. 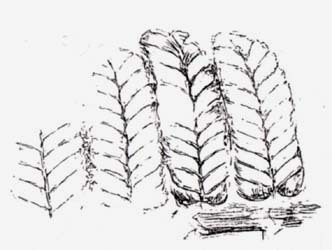 * Annotation: Pecopteris is a form genus for fossil fern fronds which cannot be assigned to a "proper" genus, as Scolecopteris or the like, for lack of detail. Some Pecopteris species have been upgraded into Scolecopteris after well-preserved specimens with distinctly seen sporangia had been found. M. Barthel: Die Rotliegendflora der Döhlen-Formation. Geologica Saxonica 61 (2) 2015, 105-238. This publication is fraught by numerous grossly erroneous size data. The sporangium in Abb.209 is too large by a factor 2.7, also much too colourful. The fern pinnules in Abb.131 are too large by a factor of about 5. There are so many more erroneous and highly questionable size data that all of them are useless since one does not know which ones are valid. Hence it is recommended to ignore all and look forward to a large sheet of correctionsto be added to the next issue of Geologica Saxonica. The sporangia in Bild 191 are too big by a factor 1.7. Inconsistencies appear by comparison of size data in several publications with images of the same samples of Dicranophyllum hallei from the Lower Permian of the Saar-Nahe-Basin (Germany). As seen from , Fig.9, and , Fig.6, the scale bar in the picture of the Dicranophyllum top with cones in , Fig.18.7, is really 2cm instead of 1cm, and the scale in , Fig.397 is not 1:4 but 1:3. Minute differences indicate that the picture in  had been taken after some additional preparation but Fig.18.7 in  is the same as Fig.9 in , except for the erroneous scale bar. Starting from the scale 1:2 of the cover picture of Volume 21(1998), see , one may conclude that Fig.5 in , which is a detail thereof, is too small by a factor of 1.25, and Fig. 394 in , which is the same picture, is too small by a similar amount, which makes its scale 1:4 rather than 1:3. The compressed stem shown in , Fig.18.5, is on display at the Palaeontological Museum Nierstein, where one can immediately check the size. The diameter of the compression is about 35mm near the base, which confirms that Fig. 18.5 is too small by a factor 2. So it appears that there are quite substantial differences in the size data of same Dicranophyllum specimens, which amount to a factor of 2.5 in the worst case. Since the stems with their large pith cavity became flattened as if they were hollow straws, their original diameter had been smaller. M. Barthel et al. : Dicranophyllum hallei ... . Veröff. Mus. Naturkunde Chemnitz 21(1998), 5-20. M. Barthel, R. Noll: On the growth habit of Dicranophyllum hallei ... .
Veröff. Naturhist. Mus. Schleusingen 14(1999), 59-64. C. J. Cleal, B.A. Thomas: Introduction to plant fossils. Cambridge University Press 2009. Fig.4.7: Rhyniophyte plant drawings with sizes inconsistent mutually and with the scale bar. Fig.8.10: The scale is wrong, probably by a factor 10. The plants have not been recognized as Rhynia, compare Fig. 8.17: not Aglaophyton. Fig.8.56: It would not be worth mentioning that the scale bar is 36µm while it is 35µm in the same picture Fig. 3.50.
and if he had been, would have referred to it. K.J. Willis, J.C. McElwain : The Evolution of Plants, Oxford University Press 2002, p54. Fig.3.14: The diameter of Rhynia stems is given as 2-3cm instead of 1-2mm ! A quite similar drawing of Horneophyton in Kenrick & Crane (1997), Fig. 3.26, redrawn from Stewart (1983) with ridiculously tiny modifications for copyright reasons, shows tubers of proper size but everything else is much too narrow by factors of about 3 to 6. The sporangia sizes in Parts (a) and (b) are incompatible mutually and with reality. The Horneophyton tubers are always drawn too big compared to the shoots and branches, which is one of several examples in palaeobotany where things are adopted without being checked against reality, and are permitted to spread throughout the literature. See Horneophyton below. P. Kenrick, P.R. Crane: The Origin and Early Diversification of Land Plants, Smithsonian Institution Press 1997. D.S. Edwards: Aglaophyton major, a non-vascular land-plant from the Devonian Rhynie Chert. Contradictory data for the diameter of the sporangia are given there: 4 to 5mm and < 4mm, where the latter is apparently a misprint, and the former is possibly based on a small number of available samples. Sporangia with diameters up to 6.5mm have been found lately. See Rhynie Chert News 11. Fig.8.19: The scale bar is possibly twice as large. Fig.8.29: Replace "30µm (Courtesy H. Kerp)" by "60µm (from Kerp, Trewin, Hass 2004)"
Fig.8.31: The scale bar is not 1mm but possibly 0.1mm. Fig.8.25: Replace "20µm (Courtesy H. Kerp)" by "38µm (from Remy and Hass 1996)"
Fig.8.33: Replace "4mm (Courtesy H. Kerp)" by "1.8mm (from Remy and Hass 1991a)"
Fig.8.50: Replace "80µm (Courtesy H. Kerp)" by "150µm (from Remy and Hass 1991a)"
T.N. Taylor, E.L. Taylor, M. Krings: Paleobotany. Elsevier 2009. Fig.8.44: Replace "1mm (Courtesy H. Kerp)" by "0.6mm (from Kerp, Hass, Moosbrugger 2001)"
The xylem cross-sections in Figs.8.42 and 8.43 are conspicuously similar to each other so that one can assume that they represent the same specimen: two slabs or two sides of one cut, in the latter case one image mirrored. Then the scale bar lenghts would be mutually incompatible. Probably the scale bar of Fig.8.42 is 0.5mm but not 1mm. The scale bar size of Fig.3.56 is not 15µm but 10 to 20 times larger. The diameter of the Nematoplexus tube with helical thickenings in , Fig. 6.9, is too large by a factor of about 4. According to  and own observations, those tubes seem to be never larger than 30µm. A.G. LYON: On ... Nematoplexus rhyniensis. Trans. Roy. Soc. Edinburgh 65 (1961-62), 79-87, 2 plates. After the publication of the first paper on Rhynie chert fossils in 1917 it was soon realized that the plant sections described as Rhynia gwynne-vaughani were the remains of similar but clearly distinguishable species. The bigger one got the name Rhynia major and the other one has kept its name up to now. Much later, in 1984, Rhynia major was re-named Aglaophyton major. It is surprising that even people involved in research on Rhynie chert find it difficult to keep the two species apart. Some confuse the names, others mistake the plant sections for those of the other species. Fig. 8.17 does certainly not show Aglaophyton but most probably Rhynia. Fig. 8.10: The scale is wrong, probably by a factor of 10. The drawing on p.25 does not show Aglaophyton but Rhynia. The cross-sections distinctly seen on p.24 are merely called "plants" but there is no doubt that they, too, are Rhynia. Hence the diameter should not be given as "approximately 2-3 mm" but as "1-2 mm". The now invalid name Rhynia major is used on p.26, and what is shown there is not the former Rh. major but Rhynia gwynne-vaughani . 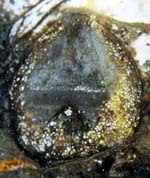 Cross-sections whose aspect and size indicate Aglaophyton have been interpreted as Rhynia in , Fig.4.9, because tiny protuberances on the surface were thought to be the typical bulges found on Rhynia stems. However, the latter are bigger and not pointed but bulging, and they are more sparsely distributed so that three of them are virtually never seen on one cross-section. Hence, the sections are not Rhynia but Aglaophyton. 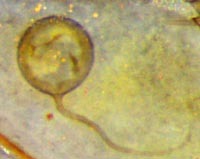 A drawing which had been obsolate since 1986, once meant to depict Rhynia major, appeared in 1997 as Rhynia gwynne-vaughani . Also in that monograph it is claimed that "no gametophytes from Devonian rocks" are known although Lyonophyton, the gametophyte of the former Rhynia major, has been known since 1980. P. Kenrick, P.G. Davies: Fossil Plants. The Natural History Museum London 2004. S.N. 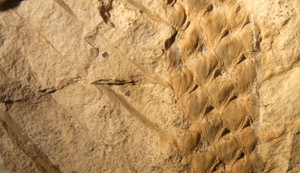 Agashe: Paleobotany. Science Publ. Enfield 1997, p103. Two specimens of the small crustacean Ebullitiocaris pictured in Paleobotany , Fig.1.57, are called "rotifers from the Rhynie chert" in the text beneath. This is rather peculiar since there is no similarity whatsoever between Ebullitiocaris and rotifers, and no relation between crustaceans and rotifers, and the rotifer shown in Rhynie Chert News 23 seems to be the one and only specimen in the Rhynie chert and in all Palaeozoic which has become known up to now (2014). For comparison with Ebullitiocaris see Rhynie Chert News 12 . There an observation is presented which suggests an interpretation of Ebullitiocaris differing from that one given in the original paper . * This is the only item in this chapter which does not concern plants but creatures. 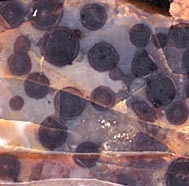 The conspicuous patterning occasionally seen on cross-sections of coniferous-type petrified wood (see Fossil Wood News 2 ), if superficially inspected, can easily mislead the fossil collector to the assumption that what he has found must be a composite tree trunk. 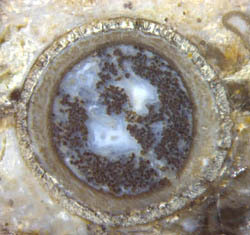 As the aspect may resemble that of some poorly preserved Psaronius stem, the specimens had repeatedly been mistaken for such, once even by the famous B. Cotta. Although the origin of the patterning is still obscure, it has become obvious that one has to be careful not to misinterpret it. Hence it is surprising that now, 180 years after Cotta, another prominent palaeobotanist, H. Kerp, has made the same mistake by classifying patterned coniferous wood as composite trunks of Tempskya: See "Mock Tempskya" under Funny faces. It has been proclaimed that "One interesting hypothesis suggests that several of the enigmatic ... nematophytes may represent remains of ancient liverworts ... . ... At least some of the tubular aggregations assigned to nematophytes have been reinterpreted as ... liverwort rhizoids, ... ." , chapter on bryophytes. That hypothesis is refuted in Rhynie Chert News 41. Two cases where this kind of error has led to far-reaching conclusions are discussed in Chapter Misconceptions and Rhynie Chert News 8, 41. A dubious case of minor importance is a "hypha with septations" of the fungus Glomites rhyniensis in , Fig.7. During silicification, silica is preferably deposited in organic matter so that plants and hyphae can be brittle while the surrounding swamp matter is still fluid. Hence, the thin lines clearly seen traversing the hypha in that picture could well be brittle cracks, all the more so since they do not look smooth. This is one of the 7 Lower Devonian land plants known from the Rhynie chert but from nowhere else, and it is the only such plant with a rhizome consisting of a chain of tubers. A reconstruction by Eggert , originally meant to show two characteristic features, the tubers and the unique branched sporangium with a columella inside every lobe, in a more schematic way without caring about true sizes, is now seen in lots of copies or re-drawn images in monographs, review papers, websites, etc.. What they have in common is a disproportionate aspect with grossly over-sized tubers (up to 20mm) and over-simplified sporangia with cylindrical lobes [2-...]. Since the drawings are offered as the true aspect without mentioning their original meaning as schematic drawings, they convey a distorted image of the plant. There is a reason why Horneophyton is always pictured as some variety of drawing after the drawing by Eggert and copies thereof: Not much is known about what it looks like between the well-preserved chain of interconnected tubers and the odd-shaped sporangia. Apparently the soft stems and branches are prone to early shrivelling and decay while the tubers stay alive in the ground and the sporangia possibly persist as dry capsules similar as seed pods do. The profuse branching at right angles is only guesswork. The real width of the tubers is about 3 to 4 mm (see Rhynie Chert News 27 ), and the sporangia are never shaped such as the drawings are to make believe (see the above image of a sporangium branch and Rhynie Chert News 15 ). The rhizoids are never seen scattered around the tuber as in , Fig.8:40, but densely spaced below like a broom. A reconstruction of Horneophyton which would come anywhere near to reality is not available up to now. D. Edwards: Embryophytic sporophytes ..., Trans. Roy. Soc. Edinburgh, Earth Sciences 94(2004 for 2003), 397-410. W.N. Stewart, G.W. Rothwell: Paleobotany and the Evolution of Plants, Cambridge Univ. Press 1993.
 http://bomi.ou.edu/bot5264/devonian.pdf (exactly same drawing as in ). R. Rößler: Der versteinerte Wald von Chemnitz, Museum für Naturkunde Chemnitz 2001.
p.35, Fig.67: This is the mirror image. p.85, Fig.191,192: "Mikrosporen" must be replaced by "Sporen". p.85: It is claimed that hairs on the surface of pinnules serve as important criteria for the classification of tree ferns but there are no hairs there. What has been mistaken for hairs is elongated epidermis cells. p.85: It is claimed that synangia most often show some symmetry but most often they do not[1,2]. 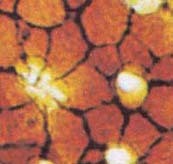 Figs.334-336 show a thin slab pictured in a paper by Sterzel . The errors mentioned here are trifles compared to the misinterpretation of the tiny dark clots seen in these pictures as oribatid mite coprolites. Sterzel was careful enough to refrain from an interpretation. p.179, 180, Fig.449, 450: What is claimed to be silicified charcoal is no such but most likely rotten and shrunken wood. p.198: The "silicification theory" proposed by M. Landmesser is recommended as a fundamental one but really is of little value. See also the German version for more details. R. Rößler: The Late Palaeozoic tree fern Psaronius - an ecosystem unto itself. J.T. Sterzel: Die organischen Reste des Kulms und des Rotliegenden der Gegend von Chemnitz. Abh. Königl. Sächs. Ges. Wiss., Math.-phys. Kl. 35(1918), 205-315. R. Noll, V. Wilde: Conifers from the uplands - Petrified wood from central Germany. 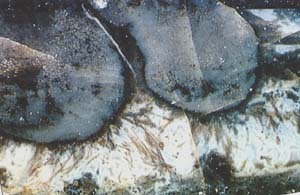 Fig.30, p.101: What is presented as mite coprolites is clots due to fungus activity. Compare: "Oribatid mite coprolite sightings – a transient craze?" p.109: Alleged oribatid mite coprolites are no such. Compare: "Oribatid mite coprolite sightings – a transient craze "? p.429, Fig.11.104: synangia, not synangium as there are two of them. Two Eoangiopteris species are said to "exhibit a linear synangium of 10-19 sporangia (Figs. 11.105, 11.106)". However, Fig.11.105 shows synangia with 6-10 sporangia, and an arrangement of 17 sporangia in Fig.11.106 covers a whole pinnule, according the caption of the figure. This would mean there is only one huge synangium per pinnule: rather dubious. Comparison with work by Millay  reveals that what is seen in Fig.11.106 is only a small fraction of a pinnule. p.189: "Although most cuticle sheets lack distinctive ornamentation, similar to those of Nematothallus ..." This implies that Nematothallus lacks distinctive ornamentation, which is not true. By minor modifications one obtains what seems to be the intented meaning: "Although most cuticle sheets lack distinctive ornamentation similar to that of Nematothallus ..."
Horneophyton is still pictured as having a tuber instead of a rhizome although it has been convincingly shown that it has a rhizome consisting of a string of tubers . Also Fig.8.40 is not compatible with "The sporangium ... consists of a branched fertile unit of four lobes ..." since it shows sporangia with 2 or 3 lobes only. Furthermore, the shapes of the sporangia in Fig.8.40 bear hardly any similarity to the real ones. See, for comparison Rhynie Chert News 15.
p.238, 239: The stems of Asteroxylon are said to be "densely covered by numerous leaflike flaps of tissue". Judging from the work by Bhutta  based on Lyon's slide collection and from own observations, the leaflike appendages or enations are less densely spaced and less neatly arranged than in the reconstruction, Fig.8.41. The sporangia of Asteroxylon are said to be borne "near the axils of leaflike appendages" but also "apparently in no particular relation" to them, which seems slightly contradictory. p.245: It would not be worth mentioning that the scale bar is 36µm in Fig. 8.56 while it is 35µm in the same picture Fig. 3.50. However, it leads to the assumption that the author of Chapter 8 was not aware of the picture in Chapter 3, and if he had been, would have referred to it. M.A. Millay: Studies of Paleozoic marattialeans... Amer. J. Bot. 65(1978), 577-583. H. Hass, H. Kerp: Rhynie chert plants and their substrates. Conference "The Rhynie Hot Spring System", Aberdeen 2003. A.A. Bhutta: Studies on the flora of the Rhynie chert, Ph.D. thesis, Cardiff 1969. This is an exceptional case as it's not the authors who are responsible for the error. An essential half of Figure b was cut off owing to lack of care by the editorial staff so that the description became incompatible with the figure. Amer. J. Bot. 81(1994), 690-702, Fig. 38.